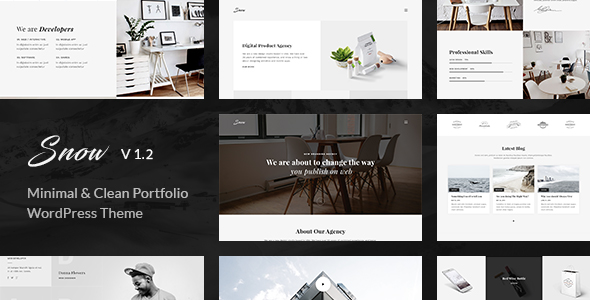 Snow is a clean and minimal Portfolio WordPress theme. This theme will suite for designers, photographers, web agencies and studios, freelancers and so on. Theme is bundled with WPBakery Page Builder and will work perfectly on any screens and devices.